HTML Executable is a versatile electronic publication and ebook authoring solution with powerful features. "I want to sell my ebooks and I want to prevent buyers from sharing my ebooks with others." The other solutions are online activation and dongle protection. What is a hardware-locked key? 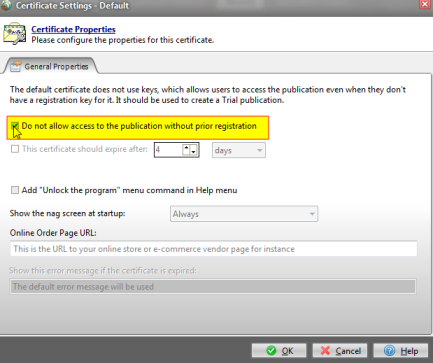 To open your application, users will have to enter an activation key. If he/she does not have a correct key, the application will not open. A hardware-locked key is a key delivered to a user that will only work on his/her computer. It won't work on any other machine, so it becomes useless if it is shared with others. The key is based on a unique system ID that depends on the user's computer hardware. The key blacklist option lets you block stolen or refunded registration keys. 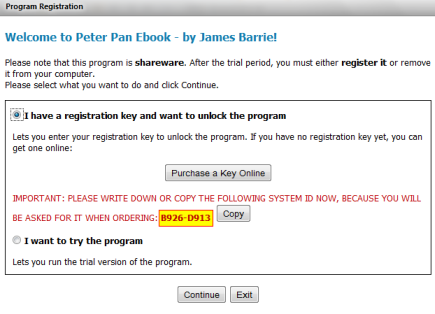 How to configure your ebook to use hardware-locked keys? Compile your project and it is ready for distribution. 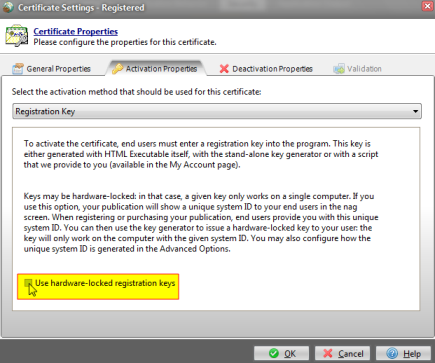 How to generate a hardware-locked key for your customer? 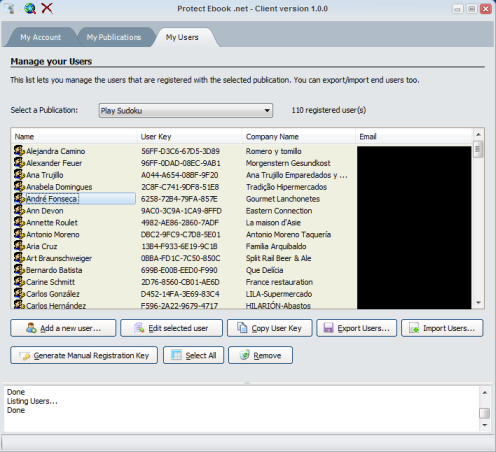 The customer sends you the system ID (highlighted on this screenshot). 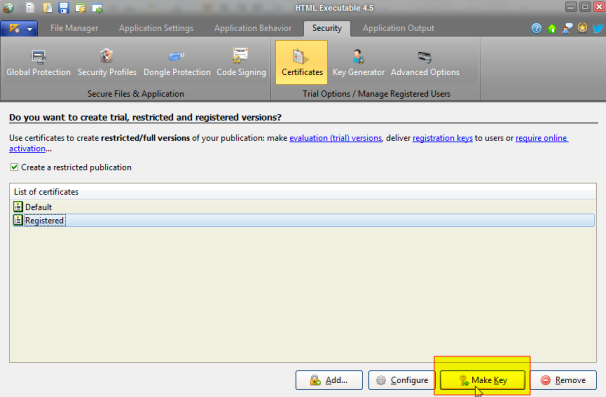 Then, you can generate his key with HTML Executable. 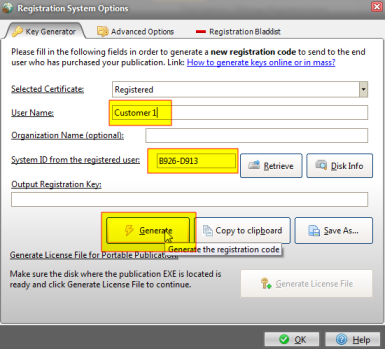 A registration key is generated, you can send it to your customer. Thus, this key will only work on his computer, your ebook will not work in a registered mode on other PCs. Offer a trial version or not? 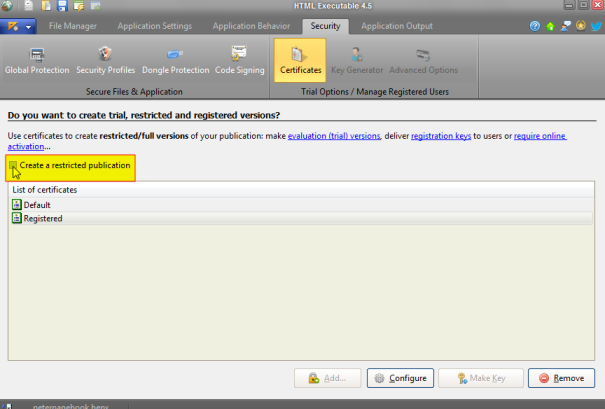 Everything is possible with HTML Executable! Looking for a hassle-free, automated solution? ⇒ Our Protect-ebook.com service is the solution for you! Copyright © G.D.G. Software 2019. All rights reserved.